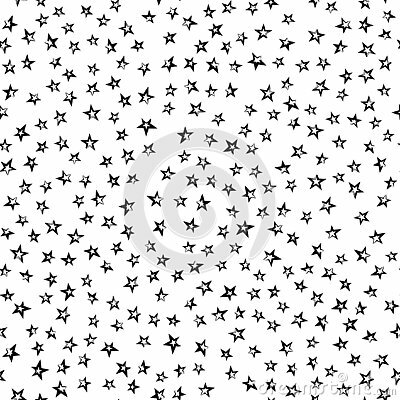 Black and white background with stars. Background, texture, abstraction. Color spot a star or a flower is insulated on black background. Geometric seamless repeat pattern. Vector illustration.